Capture a frozen moment and turn it into a tonally unique sonic foundation. 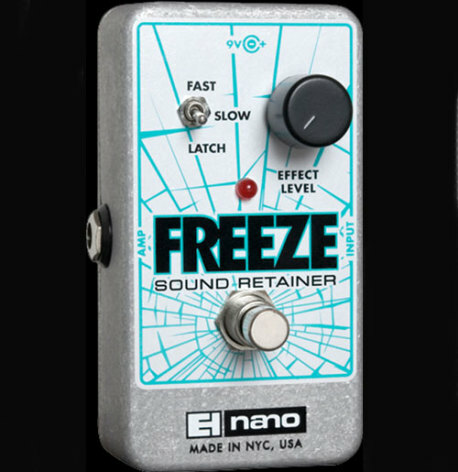 The Freeze Sound Retainer delivers infinite sustain of any note or chord at the press of a momentary footswitch. Release the footswitch and you are again sample ready. Three selectable decay rates, including a latch mode, guarantee liquid, smooth tonal transitions. Hook the Freeze up with your favorite pedals for a sonic collage that will be unlike anything you have ever heard. Itâ? ?s like adding an extra musician to the band.